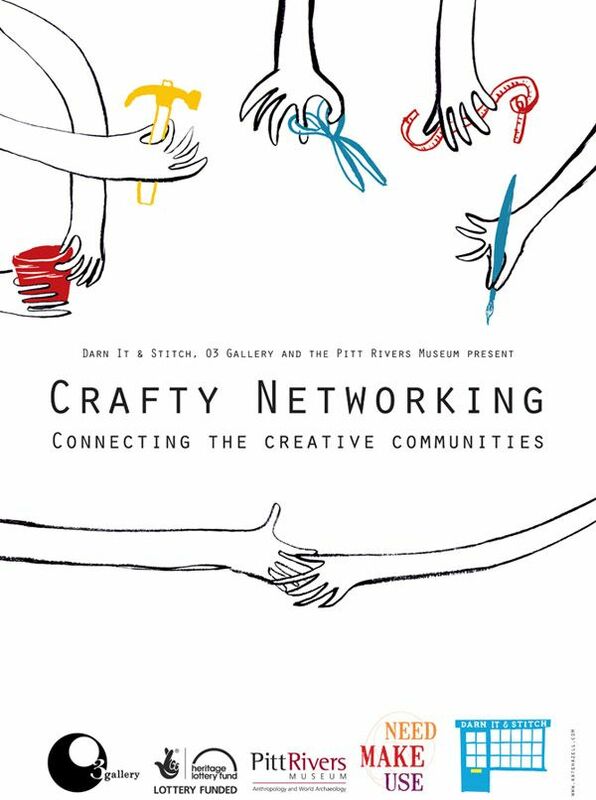 Join O3 Gallery, The Pitt Rivers Museum and Darn It & Stitch at the Pitt Rivers Museum for a relaxed event that will bring together individuals with a vested interest in the development of local and national craft. From buyers for shops and galleries, craft workers and artisans, to design teachers and the crafty curious, we are dedicated to building a network for all those involved and interested in craft and design. There will be a short talk then visitors will be invited to connect with fellow guests over a glass of wine. Display tables will be made available but due to conservation issues, we ask that you don't bring silk, natural wool, untreated organic material or wet products  if in doubt, drop Jozie ( jozie.kettle@prm.ox.ac.uk) an email. 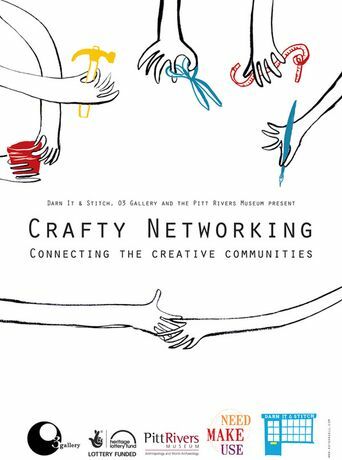 O3 Gallery runs Crafty Networking in partnership with The Pitt Rivers Museum and Darn It & Stitch. Catherine Warrilow of Seriously PR Introduction In our second networking event of 2014, Catherine Warrilow of Seriously PR will open the evening with an introduction to social media, bringing a PR perspective to building a brand as an independent creative. Catherine will discuss how to use social media as a tool to strengthen your commercial presence; building engagement and brand awareness. After the talk, you will be invited to grab a glass of wine and begin networking! Cash bar and entry via the South Door, Robinson Close, off South Parks Road.